Small Projects Foundation (SPF) works with communities and community service providers where they draw on their own knowledge and resources, to identify constraints that face them; and develop plans to use their knowledge and take action in managing challenges facing the communities. We strengthen the systems of health facilities through capacity building, training and mentoring to embed models creating sustainability beyond funding term. We train and mentor community health care workers, members of community based organisations and learner support agents in various skills; providing them with knowledge, skills and competence to provide the necessary support to communities. The Small Projects Foundation (SPF) has been operating in the community development field for 31 years since 7 January 1988. It has also been working in the primary health care field since 1996 (23 years). SPF is and has been working in rural and urban areas of the Eastern Cape Province in all 7 districts. SPF staff has been working with the Amathole District, Buffalo City Municipality, Nelson Mandela Bay Metropolitan Municipality and OR Tambo District Health Offices on a Nutrition and feeding programme to identify malnutrition, provide nutritional supplements and develop home gardens and nutritious food preparation SPF worked with the Department of Environment Affairs and Tourism to develop the Mdantsane Greening Programme that rolled out over 12 000 home gardens form 2007 – 2010. It developed home gardens through training and support for over 6000 families in OR Tambo District under the Kistefos AIDS Action Programme. SPF was also the Provincial Implementer for the Community Work Programme of COGTA for the OR Tambo and Alfred NZP District from 2012 – 2014 and established gardens, provided static water tanks and increased food security across 10 municipality in the area. 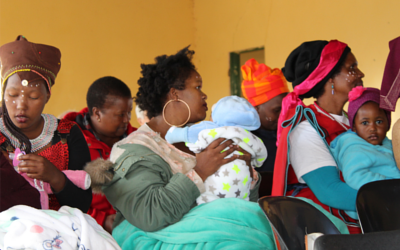 SPF has managed the capacity building of over 52 community Based organisations in the Eastern Cape. It has experience of developing institutional mechanism for organisations to access services and to monitor and evaluate the work of such organisations through word based forums, community scorecards and Quality Improvement Tools. Providing the first freehold urban land title to black families in 1994 in Dimbaza and Potsdam. Piloting community led rural water provision and maintenance in 54 communities. 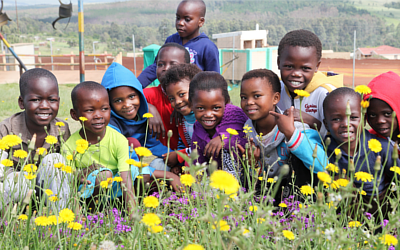 Establishing 483 Early Childhood Development Centres within communities. Establishing a membership based network of 2 400 Educare centres through the Regional Educare Council. 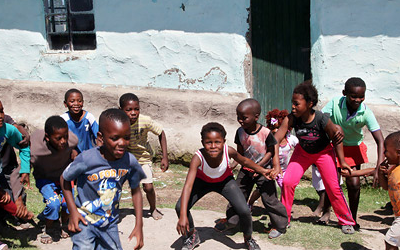 Partnering with the Phelophepa Health Care Train to reach 1 million patients. Partnering with the Ghana AIDS Commission to reduce HIV infections across Ghana. Establishing the Paediatric AIDS Treatment for Africa Network across 495 treatment sites in 20 African countries. Empowering over 50 000 girls in 468 schools to complete school and remain HIV free. Supporting over 8 000 mothers and their HIV positive children to adhere to treatment and survive and thrive. Managing and training 6450 Community Health Workers to provide Health Care to patients for 5 years. The systems and models developed by SPF are working and continue to be replicated and sustained. Creation of Bright Futures Clubs to provide peer support. Provision of job and financial literacy skills by “Give yourself a Job” programme. Development of parental support through parent/ child dialogues. Establishment of OVC and Abused women Safety Nets at Municipal Ward level. Strengthen and maintain linkages between communities, clinics, community service providers and community health care workers. New challenges await – the long walk continues! Thank you to all who walk beside us.